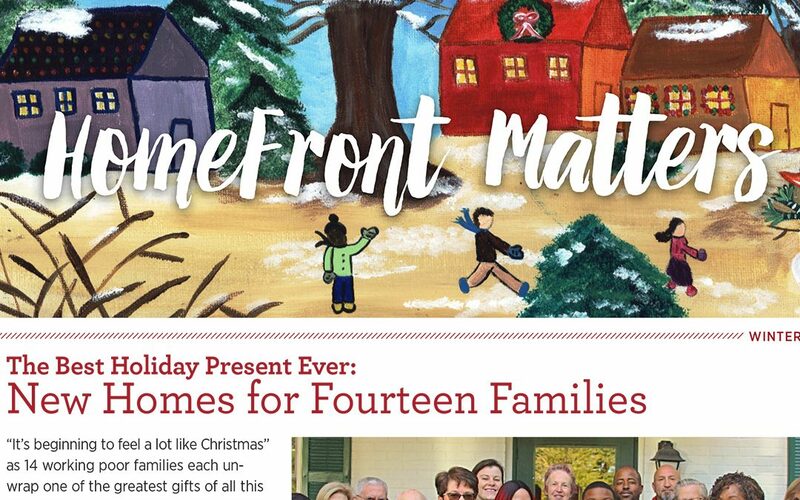 Read about how 14 homeless families received the Christmas joy of safe and secure homes as well as other news of HomeFront’s continuing efforts help the most needy families of our area in the Winter 2018 issue of HomeFront Matters. What we do to help others is only possible because of the support you give us. If we don’t help them, who will? Please help. Donate now.